We have a special presentation from the Chicago Mercantile Exchange that features Texas A&M’s Dr. Danny Klinefelter, director of The Executive Program for Agricultural Producers (TEPAP) and co-director of the Texas A&M Family and Owner-Managed Business. This valuable presentation overviews The Forces Driving the Ag Credit Market and Its Impact on Producers. This presentation should be reviewed by your senior management team and others involved in the financial area of your operation. Also this week a conversation with American Farm Bureau Federation’s Senior Director for Congressional Relations Rick Krause reviews the current climate legislation conversation in Washington and what it means for livestock and crop producers. 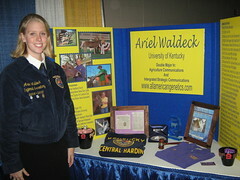 October brought to Indianapolis several thousand young adults to the 82nd National FFA Convention. The Truffle Media team was on the floor talking with career floor exhibitors and students about their experience. 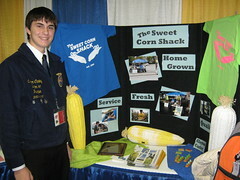 Of particular interest are the 2009 FFA Agri-Entrepreneurs winners. 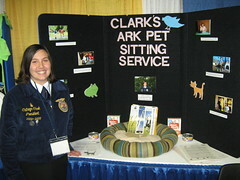 They are energetic, optimistic, and are pursuing their ideas with passion. These are people to keep your eye on! A conversation with Kansas State's Troy Dumler, looking at aggregate records of enterprise profitability and project returns on a state-wide basis. Our thanks to Eric Atkinson. CropVillage 0169, How Intact Is The Oil - Ethanol - Grain Price Linkage?